We saw in earlier posts that experimental-speculative distinction was widely present within early modern philosophy, including eighteenth century Germany. The distinction was clearly drawn in Tetens’ essay from 1775, six years before Kant published the first Critique. With that work, another distinction entered the scene. It was the distinction between empiricism and rationalism. The rationalism-empiricism distinction, developed and popularized in widespread works by Reinhold, Tennemann, and later Kuno Fischer, would eventually become the standard way of classifying early modern philosophers. The experimental-speculative distinction would fall into the almost total oblivion in which it lies today. How did this process take place? It would be surprising if, with the publication of Kant’s first Critique in 1781, philosophers suddenly dropped the distinction between experimental and speculative philosophy altogether. In fact, the lively debates surrounding the emergence of Critical philosophy in the late 1780s and 1790s were still framed, at least at times, in terms of the speculative-experimental distinction. In this post, I will present some evidence for this claim. J.G.H. Feder published one of the first attacks on the first Critique in 1787, claiming that it was full “of the most abstract speculations of logic and metaphysics” (italics, here and below, are mostly mine). In Feder’s view, Kant was “too much a friend of the most abstract and profound speculations in Scholastic form”. One year earlier, Christoph Meiners criticized Kant’s “transcendentish [sic] speculations”, “independent from any experience” in the preface to a successful book. In other words, the philosophy that Kant allegedly humiliated was the same experimental (or as the Germans preferred to call it, observational) philosophy that Tetens had described in his essay of 1775. Feder and Meiners defended observational philosophy. By associating Kant’s name with speculation, they were categorizing Kant as an example of a speculative philosopher. Kant’s followers accepted the classification of their philosophy as speculative. Replying to Feder in 1789, the Kantian J.C.G. Schaumann had no hesitation in calling Kant’s disciples “friends of speculation and critique”. In the same year, Reinhold opened his New Theory of the Human Capacity for Representation by claiming, against observational philosophers: “neither common understanding [scil. common sense], nor healthy understanding, but only reason guided by principles and trained through speculation could succeed in the study of experience”. These quotes show that the experimental-speculative distinction was very much alive in Germany during the first reception of Kant’s Critical philosophy. The experimental-speculative distinction contributed to the self-understanding of the parties involved in the dispute. The dichotomy of experiment and speculation was not the only way of categorizing the debates between Kant and experimental philosophers. A gifted Kant scholar, C.C.E. Schmid, published in 1788 “Some Remarks on Empiricism and Purism in Philosophy” to defend Kant from the criticisms of an experimental philosopher, C.G. Selle. The debate continued, with the term “empiricism” being often used to designate Kant’s opponents. The term that Schmid used to refer to Kant’s philosophy was the rather unusual term “purism”. Kant, instead, was classifying his philosophy as a form of rationalism in those very years. Clearly, the terminology was still rather fluid. it seems that in our time observation, which was formerly regarded as one of the first accomplishments of the philosophical spirit and the foundation of our scientific cognitions, since its object has been designated with the name of empirical, has fallen in discredit with some people. Garve’s adjective “empirical” refers to the new term “empiricism”. “With some people” is clearly an understatement, reflecting Garve’s preference for the observational approach over Kantianism. While the historical notion of experimental or observational philosophy was falling into discredit, the historiographical dichotomy of empiricism and rationalism was on the rise. I will discuss this process in one of the next posts. Next Monday, we’ll go back to Newton with a new post by Kirsten. Stay tuned! In my previous post on David Fordyce’s thoughts on education, I showed how his speech to students on the commencement of the studies embodies the commitment to the method of the experimental philosophy. This is hardly surprising given that his teacher at Marischal, George Turnbull, expressed the same commitment a year before Fordyce’s speech in his Observations upon Liberal Education (1742). In this post I want to focus on an earlier text, his Treatise on Ancient Painting (1740). In addition to trying to find out “wherein the Excellence of Painting consists,” he wants to show the usefulness of this art and its essential role in education. As we can see, the works of George Turnbull and David Fordyce show evidence of the use of the ESP distinction in fields outside of natural philosophy. Beyond this, they show that the moral philosophy taught by these gentlemen in Aberdeen in the first half of the eighteenth century was driven by the characteristic attitude of the experimental method, shedding light on the development and roots of the ‘science of man’ in the eighteenth century. There were two forms of natural history in the early modern period: traditional natural history and Baconian natural history. The distinction between them becomes clear in the light of the development of the experimental philosophy in the mid-17th century. Unfortunately, however, this distinction is almost always elided in the secondary literature on natural history. Traditional natural history, deriving from Pliny the Elder and Dioscorides, had flourished in the late Renaissance. It involved the mapping of nature through the classification of plants and animals and the assembling of information about their uses and habits. This traditional natural history continued throughout the 17th century and reached its zenith in the 18th century in the work of the likes of Carl Linnaeus. But this was neither the only form of natural history, nor, for that matter, was it the most important form for the experimental philosophers. Let me explain. The experimental philosophy of the seventeenth century developed as a method of knowledge acquisition in natural philosophy. However, unlike the division between science and philosophy today, in the early modern period natural philosophy and philosophy were not regarded as discrete disciplinary domains. Natural philosophy was thought to be the philosophy of nature, rather than, say, the philosophy of morality or metaphysics. Thus Descartes’ Principles of Philosophy are principles of natural philosophy and this work presents his mature natural philosophical system. The experimental philosophy was initially developed and applied in the study of nature and only later was it applied more broadly to the other parts of philosophy. The first ‘version’ of the experimental philosophy was the Baconian method of natural history. This was inspired by Francis Bacon’s grand scheme for the renovation of knowledge of nature and in particular his novel approach to natural history. The Baconian method involved the assembling of vast amounts of data about particular substances, qualities or states of bodies. In this way it was far broader in its scope than traditional natural history. To be sure, it included facts about generations––that is animal, plant and insect species-–but it included much more, such as histories of cold, of the air, of electrostatic phenomena and of fluidity and solidity, etc. According to the Baconian method, once all of the facts were collected they were to be ordered and structured in such a way as to facilitate theoretical, or speculative, reflection upon the phenomenon at hand. Thus, once all the facts about, say, human blood or the air, were gathered, then the natural philosopher would be in a position to develop a true and accurate philosophy of the blood or air. It was this method that was developed in a detailed and sophisticated way by the early Royal Society and which became popular across Europe in the second half of the 17th century. This Baconian natural history encompassed traditional natural history and as a result traditional natural history flourished under its aegis. But, the Baconian form of natural history was short-lived: it was in serious decline in the 1690s and all but disappeared in the first decades of the 18th century. All the while traditional natural history was going from strength to strength and was soon to become one of the most important branches of 18th century science. The reasons for the decline of Baconian natural history need not detain us here, but the reason for the eliding of the distinction between it and traditional natural history is of great importance. I contend that scholars have failed to distinguish between the two because of their failure to appreciate the nature and significance of the experimental philosophy in general. When we view early modern natural history through the lens of the experimental philosophy the distinction between the two forms of natural history becomes clear. This is another reason why, as I claimed in an earlier post, ESP is best! …the true cause of the length of that Image was detected to be no other, then that Light consists of Rays differently refrangible, which, without any respect to a difference in their incidence, were, according to their degrees of refrangibility, transmitted towards divers parts of the wall. This experiment and its role in Newton’s theory of colours raises some questions that I’m not really sure how to answer. I hope you can help me. White light travels from the Sun (S), through the first aperture (F), through the first prism (ABC), where it is refracted for the first time, producing an image on the first board (DE). A small amount of light passes through the second aperture (G), producing an image on the second board (de). A small amount of light passes through the third aperture (g), through the prism (abc), where it is refracted for the second time, producing an image on the screen (MN). Newton “took the first Prisme in [his] hand, and turned it to and fro slowly about its Axis”, so that different parts of the refracted image could pass through the apertures to the second prism. He took careful note of where each image appeared on the board MN. Newton finds that each time a particular ray passes through a prism it refracts to precisely the same degree. For example, light that refracts to 50 degrees at the first prism refracts to 50 degrees at the second prism as well. Newton argues that this shows that refrangibility is an original and constant property of light. Newton’s Experimentum Crucis was heavily criticised by his contemporaries. Hooke, for example, argued that this experiment is not a crucial experiment, because it does not prove that colour is an original property of light. Hooke believes that light becomes coloured as it passes through the prism, and Newton’s experiment does not convince him otherwise. While colour is conspicuously absent from Newton’s discussion of this experiment, this line of criticism is extremely common. For example, Newton’s contemporaries, Hooke, Huygens and Pardies, and more recently, writers such as Sabra and Bechler have all made criticisms along these lines. As I have previously discussed, Newton used mathematics and measurement in order to achieve absolute certainty. So it is no accident that Newton only discusses refrangibility and not colour in this experiment. 2) There is a one-to-one correspondence between refrangibility and colour. So, while the Experimentum Crucis only supports step (1), it is often mistaken as an argument for Newton’s conclusion. Newton takes a great deal of care to establish (1) experimentally, but he seems to take little care at all to establish (2), and hence, the conclusion. In his first optical paper he simply asserts it as proposition 2; in his reply to Huygens he asserts it as a note to his definitions. This raises two questions. Why did Newton take so little care over step (2)? How did Newton’s main opponents miss this lack of care? the epistemological bias: histories of philosophy which give pride of place to the rationalism-empiricism distinction overestimate the importance of epistemological issues for early modern philosophers. the Kantian bias: histories of early modern philosophy that embrace the empiricism-rationalism distinction are often biased in favour of Immanuel Kant’s philosophy. They portray Kant as the first author who uncovered the limits of rationalism and empiricism, rejected their mistakes, and incorporated their correct insights within his Critical philosophy. I do not think that Kant should be charged with making the empiricism-rationalism distinction a merely epistemological one, or of placing his philosophy beyond and above the two currents of empiricism and rationalism. To see why Kant does not have the epistemological bias or the Kantian bias, let us consider his two characterizations of empiricism in the Critique of Pure Reason. I will start with the second characterization. 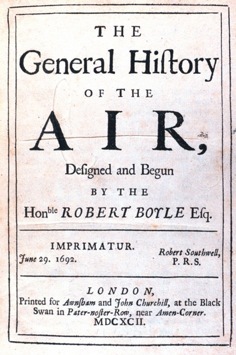 It is contained in a section entitled The History of Pure Reason (A854/B882). Empiricists such as Aristotle claim that pure cognitions of reason “are derived from experience”. Noologists (elsewhere called rationalists) such as Plato claim that, “independent from [experience], [pure cognitions of reason] have their source in reason”. The cognitions that Kant is referring to are concepts and judgements. As for concepts, empiricists “take all concepts of the understanding from experience” (Ak. 29:763). As for the judgements, empiricists claim that there are no synthetic judgements that can have an a priori justification. Kant’s proof that such judgements exist makes empiricism “completely untenable” (Ak. 20:275). These characterizations of empiricism are cast in epistemological terms – especially if one takes epistemology to be concerned not only with what justifies beliefs, but also with issues concerning the origin of concepts. Does Kant reject the epistemological views of empiricism and rationalism? The History of Pure Reason does not make this clear. However, elsewhere Kant places himself in the rationalist camp. For instance, in the second Critique he endorses the “rationalism of power of judgement” with regard to practical concepts (Ak. 5:71). In a metaphysics lecture from the 1790s, Kant qualifies his view that we have some non-empirical concepts (the categories) as a rationalist view. Modest empiricists acknowledge their ignorance as to their existence. Dogmatic or dogmatising empiricists deny their existence. Kant rejects immodest or dogmatic empiricism because it “says more than it knows” (A472/B500). Interestingly, however, he endorses the attitude of modest empiricists in his solution of the antinomies. What conclusions can we draw from this survey of Kant’s texts? First, Kant operates with multiple notions of empiricism. The empiricism described in the History of Pure Reason is epistemological. The modest empiricism in the antinomies chapter, instead, is an ontological view concerning the existence of certain items. Immodest empiricism claims ignorance of their existence, modest empiricism claims knowledge of their non-existence. Hence, pace Anik Waldow and others, Kant does not consistently describe empiricism as “a purely epistemological position”. Second, Kant does not consistently portray his position as an alternative to empiricism and rationalism. He sides with modest empiricists in the antinomies and with rationalists in other texts. He may have sown the seeds for a narrative of early modern philosophy based on the Critical Aufhebung of empiricism and rationalism. However, he can hardly be regarded as the first author to consistently develop such a narrative.